With immense market knowledge, we have been able to provide optimum quality Ice Cans. We are Manufacturers and Suppliers of Ice Cans. 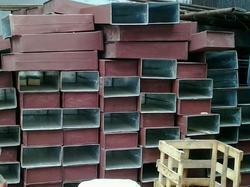 AEI brand Ice Can are made from 16 SWG Galvanized iron sheets. These are riveted with M.S. Iron ring (1.5 x 0.25") at the top of the cans. The ring reinforce the top and prevent it from damaging. Ice Cans of Galvanised sheets and Stainless Steel sheets of Sizes Inquired by the customer. SUPER POWER brand Ice Cans are made from 16 SwG Galvanized iron sheets. These are riveted with M.S. Iron ring (1.5x0.25") at the top of the cans. The ring reinforce the top and prevent it from damaging. Leveraging the skills of our qualified team of professionals, we are instrumental in offering a wide range of Block Ice Cans. AEI brand Ice Cans are made from 16 SwG Galvanized iron sheets. These are riveted with M.S. Iron ring (1.5x0.25") at the top of the cans. The ring reinforce the top and prevent it from damaging. We are engaged in offering a huge array of Ice Can to our customers. We offer these at market leading rates. 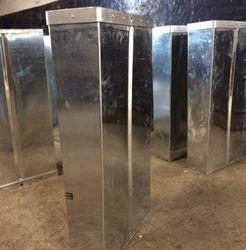 Ice cans for manufacturing of Ice in Cold stores.